Tobacco can damage cells in the lining of the oral cavity and oropharynx, causing cells to grow more rapidly to repair the damage. Researchers believe that DNA-damaging chemicals in tobacco are linked to the increased risk of oral cancer, according to the American Cancer Society. “…while the odds for those trying crack or alcohol and becoming addicts are 1 in 6 and 1 in 10 respectively, they’re 9 in 10 for cigarette smokers,” reports the chief of clinical pharmacology, National Institute on Drug Abuse. Cigarette smoking causes several lung diseases that can be just as dangerous as lung cancer. Chronic bronchitis, a disease in which the airways produce excess mucus, forcing the smoker to cough frequently, is a common ailment for smokers. Cigarette smoking is also the major cause of emphysema, a disease that slowly destroys a person’s ability to breathe. Chronic obstructive pulmonary disease (COPD), which includes chronic bronchitis and emphysema, kills about 81,000 people each year; cigarette smoking is responsible for more than 65,000 of these deaths. Smoking cigarettes also increases the risk of heart disease, which is America’s number one killer. Almost 180,000 Americans die each year from cardiovascular disease caused by smoking. Smoking, high blood pressure, high blood cholesterol and lack of exercise are all risk factors for heart disease, but smoking alone doubles the risk of heart disease. Among those who have previously had a heart attack, smokers are more likely than non-smokers to have another. In addition to being responsible for 87 percent of lung cancers, smoking is also associated with cancers of the mouth, pharynx, larynx, esophagus, pancreas, uterine cervix, kidney and bladder. Other popular forms of smoking include bidis (tobacco wrapped in a temburni leaf) and kreteks (commonly referred to as cloves), both equally as dangerous as tobacco alone. It is a common misconception that smokers, particularly those who smoke pipes or cigars without inhaling, are excluded from physical harm or danger. In fact, anytime smoke touches living cells, it harms them. Even if cigarette, pipe or cigar smokers never inhale, they are at an increased risk for lip, mouth, tongue, throat and larynx cancers. Because it is virtually impossible to avoid inhaling any trace of smoke, these smokers are also increasing their risk of getting lung and esophageal cancer. There are, however, some differences between cigar and cigarette smoke due to the different ways cigars and cigarettes are made. Cigars go through a long aging and fermentation process. During the fermentation process, high concentrations of carcinogenic compounds are produced. These compounds are released when a cigar is smoked. Also, cigar wrappers are less porous than cigarette wrappers. The nonporous cigar wrapper makes the burning of cigar tobacco less complete than cigarette tobacco. As a result, compared with cigarette smoke, the concentrations of toxins and irritants are higher in cigar smoke. In addition, the larger size of most cigars (more tobacco), and longer smoking time, produce higher exposures to nonsmokers of many toxic compounds (including carbon monoxide, hydrocarbons, ammonia, cadmium and other substances) than a cigarette. Like cigarette smoking, the risks from cigar smoking increase with enhanced exposure. For example, compared with someone who has never smoked, smoking only one to two cigars per day doubles the risk for oral and esophageal cancers. Smoking three to four cigars daily can increase the risk of oral cancers to more than eight times the risk for a nonsmoker, while the chance of esophageal cancer is increased to four times the risk for someone who has never smoked. Both cigar and cigarette smokers have similar levels of risk for oral, throat and esophageal cancers. Although cigar smoking occurs primarily among males between the ages of 35 and 64 who have higher educational backgrounds and incomes, recent studies suggest new trends. Most new cigar users today are teenagers and young adult males (ages 18-24) who smoke occasionally (less than daily). According to two large statewide studies conducted among California adults in 1990 and 1996, cigar use has increased nearly five times among women and appears to be increasing among adolescent females as well. Furthermore, a number of studies have reported high rates of use among not only teens, but also preteens. Cigar use among older males (age 65 and older), however, has continued to decline since 1992. Celebrities have recently publicized cigar smoking, and multiple nightclubs and restaurants are promoting new cigar smoking sections. The introduction of “cigar bars” and the sub-culture of cigar paraphernalia such as humidors and clippers have combined to create a glamorous aura around a deadly product. Total cigar consumption declined by about 66 percent from 1973 until 1993. Cigar use has increased more than 50 percent since 1993. The increase in cigar use in the early 1990’s coincided with an increase in promotional media activities for cigars. Many new cigar aficionados may not be aware that smoke from cigars contains the same deadly carcinogens as those from cigarettes. Congress did not explicitly include cigars in the 1984 law requiring health warnings on cigarettes, so cigar packages bear no warning from the US Surgeon General. Overall cancer deaths among men who smoke cigars are 34 percent higher than nonsmokers. Studies also indicate that cigar smokers have 4-10 times the risk of nonsmokers of dying from laryngeal, oral, or esophageal cancers. According to the U.S. Department of Agriculture Economic Research Service, cigar consumption hit an estimated 3.7 billion in 1999. Did you know that the average age of first-time users of smokeless tobacco is 10 years old? Or that female youth are turning to smokeless tobacco as a means to lose or control weight? *Journal of Nicotine and Tobacco Research, November of 2008. Surveillance of Moist Snuff, Nicotine and Tobacco Nitrosamines. By Richter, Hodge, Stanfill, Zhang, Watson. A detailed analysis of smokeless tobacco contents. *Smokeless tobacco users absorb two to three times the amount of addictive nicotine as those who smoke cigarettes. (National Cancer Institute) Note: While not considered the primary cause of tobacco related malignancy, nicotine is responsible for the addiction of people to tobacco products, and the following long term use. *Support organizations that oppose advertising and glorification of tobacco and tobacco products. *Support warning labels on all such products. *Support your dentist’s and doctor’s anti-tobacco messages and efforts. *Support – through local and state legislators – the Tobacco Use Prevention and Cessation Trust Fund, specifically for a portion of its use to further research and education about the potential dangers of smokeless tobacco and other tobacco products. 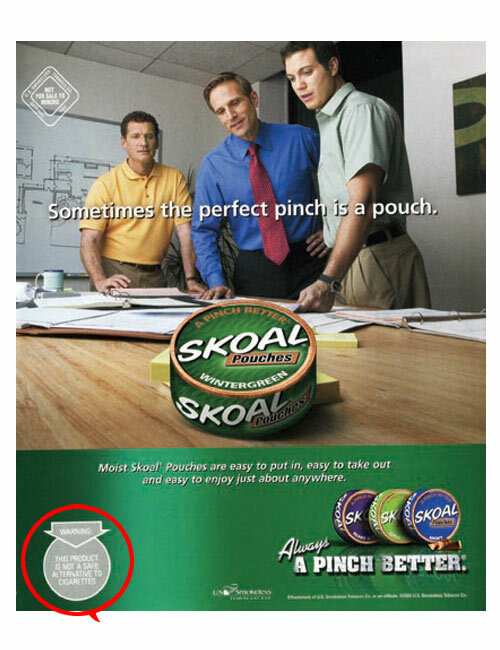 *Encourage youth to focus on strong role models, including athletes, who endorse a no-use policy of smokeless tobacco. *Stress how much money can be saved by not using tobacco products. *School and community-based anti-use programs have proven successful in lowered incidence and prevalence and higher influence to not use on teens, according to the CDC. *Restrict access to minors; create and implement tighter restrictions and penalties. Support those business that refuse to sell to minors. *Parents, coaches and others with influence need to learn about the perils of smokeless tobacco, and speak informatively to youth. Parents, coaches and others with influence who smoke or use smokeless tobacco will set the best example for youth by quitting. Emphasis should be on not starting tobacco use. *Talk with youth about ways to refuse without feeling peer pressure. *Explain that the glamorization of tobacco products is a false image. *Ensure that youth activities, whether in-home or in another setting, are tobacco, drug, and alcohol free. *Encourage your school district to adopt a no-use, no-tolerance policy against tobacco, alcohol and drugs. Then support that policy, and insist that coaches and teachers adhere to such policies, even when the star athlete is involved. “For smokeless tobacco users, the risk of cancer to the cheek and gum is nearly 50 times greater than non-users.” (American Cancer Society, 1998). “Smokeless “spit” tobacco contains over 2,000 chemicals, many of which have been directly related to causing cancer.” While some occur in trace amounts, which might indicate reduced risk, conclusive data on their safety DOES NOT exist. 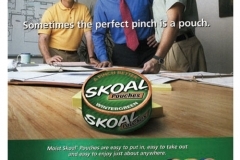 There are two types of smokeless tobacco – snuff and chewing tobacco. Snuff, a finely ground tobacco, is packaged as dry, moist, or in sachets (tea bag-like pouches). Typically, the user places a pinch or dip between the cheek and gum. Sniffing (inhaling) dry snuff through the nose is more common in European countries than in the United States. Chewing tobacco is available in loose leaf, plug, or twist forms, with the user putting a wad of tobacco inside the cheek. Smokeless tobacco is sometimes called “spit” or “spitting” tobacco because people spit out the tobacco juices and saliva that build up in the mouth. Snus is separated from other smokeless forms as it does not produce the need to spit. Chewing tobacco and snuff contain 28 carcinogens (cancer causing agents). 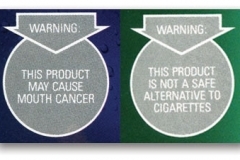 The most harmful carcinogens in smokeless tobacco are the tobacco specific nitrosamines (TSNA’s). Snuff dippers consume on average more than 10 times the amount of cancer causing substances (nitrosamines) than cigarette smokers. They are formed during the curing, fermenting and aging of tobacco. TSNA’s have been detected in smokeless tobacco at levels 100 times higher than the levels of other nitrosamines that are allowed in bacon, beer and other foods. Other cancer causing substances in smokeless tobacco include formaldehyde, acetaldehyde, crotonaldehyde, hydrazine, arsenic, nickel, cadmium, benzopyrene, and polonium (a radioactive element from the soil it is grown in). Some may argue that many of these are in spit tobacco in very small volumes, and that volume of exposure dictates risk. However, we have no significant research on what the effects of even the smallest amounts of some of these are when a person is exposed to them over decades of intimate exposure/use. Another element found in smokeless tobacco is nicotine. Nicotine is absorbed by smokeless tobacco users at a rate 2 to 3 times higher than that of cigarette smokers, facilitating rapid addiction. Also, the nicotine stays in the bloodstream for a longer time. 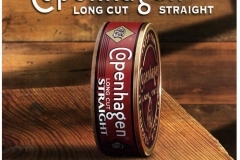 It has been reported that some chewing tobacco products actually contain microscopic abrasives which speed the absorption of nicotine, and carcinogens into the cell membranes. This is denied by tobacco manufacturers. In OCF’s opinion, a group which has proven their willingness to lie under oath (none admitted that they knew nicotine was addictive contrary to their internal company memos) cannot be trusted as a source of information. NO peer reviewed published study addresses this question with any conclusion. In this same light, more recently tobacco research dollars were spent to convince the public that “light” cigarettes were a safer alternative to conventional cigarettes. This has subsequently been proven to be not the case, and recent scientific revelations to the contrary have forced them to suspend such claims. The history of the big tobacco companies has been one of deception, and misdirection. An August 2006 U.S. District Court ruling declared that cigarette companies knowingly misled consumers with claims that low-tar and “natural” cigarettes were less harmful than other cigarettes. These so-called “harm-reducing” cigarettes marketed between 1998 and 2004 delivered more nicotine than their predecessors, upping the delivery of smoking’s addiction factor in each cigarette by an average of 10 percent. People should be very skeptical about the tobacco industry’s newest claims about smokeless tobacco given their history of deception and lies. Smokeless tobacco is not a completely safe substitute for cigarettes. There are those who argue that IF it replaced smoking tobacco use in the US, we would see a reduction in tobacco (smoking) related death rates, and they are correct; if all smokers used spit tobacco it would reduce the number of lung cancers, and perhaps heart disease significantly. We agree that this is a likely scenario. 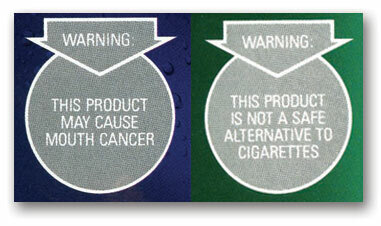 But we do not think that given other nicotine replacement strategies, (nicotine containing gums, patches, lozenges, nicotine nasal sprays, nicotine inhalers, lotions, and among a variety of herbal nicotine containing chews, even a black tea based chewing tobacco now available on the market (Blue Whale), which appears to contain no known carcinogens, but only the nicotine found in existing spit tobaccos), that their argument is justification for endorsing smokeless tobacco use. These alternatives run from OTC low nicotine level products to Rx strength products. It seems those advocating for “harm reduction” are only interested in tobacco being the delivery vehicle for the nicotine. If they are so interested in public good, what difference does it make to them the mechanism of delivery? It seems that the funders of their interest in smokeless as the method of choice are …of course are smokeless tobacco companies. A coincidence? We find their passion for this perspective suspect because of the significant tobacco dollars that have been behind their direction, their research work, and their chairs in harm reduction. Arguments that they have had other funding will only be met with skepticism until revelation of all funding sources in specific terms is made evident. So for the record OCF is in favor of nicotine replacement therapy. We just do not believe that tobacco is the ideal vehicle for delivering it to the patient / consumer. There are also prescription medications to help people quit the use of tobacco. The most common of these is Zyban (bupropion hydrochloride) which will dramatically reduce withdrawal symptoms when trying to quit. OCF prefers non tobacco nicotine replacement therapies, with the eventual goal of a release from the addiction completely, not the continued long term addiction to an alternate product, even a non tobacco one. Other nicotine replacement strategies, such as inhalers, nasal sprays, etc. would allow an individual to wean themselves from the addiction, without introducing additional risks for other ailments. Spit tobacco, besides its ties to oral cancer, is also tied to other serious cancers such as pancreatic cancer, and there is still much we do not know about all the possible negative biological implications of its use over long terms. The TRUTH which the harm reduction advocates do not speak to, is that there is more that we do not know about the long term negative effects than what we do. Research done in Sweden (decades in depth) for instance which is widely quoted by them is on a product which is not identical to products made in the US. The research dollars which exposed the extensive harm from smoking tobacco and brought down any belief that smoking was harmless, were not directed towards research of smokeless spit tobacco products. As a result, they frequently will talk about how little scientific evidence there is to argue against spit tobacco as a harm reduction strategy from an evidence based perspective. But remember if you find that argument attractive, that the research dollars are only now being spent to explore the negative biological implications of spit tobacco use. The lack of numerous published studies at the current time, indicates that the are NO long term US STUDIES, it does not indicate that the product is safe. In our opinion beginning the use of smokeless tobaccos is a step in the wrong direction, and their use as a harm reduction strategy is misguided when other options exist. Having taken a position of endorsing nicotine replacement for those who cannot quit but wish to reduce their risk of harm, OCF also acknowledges that there is conflicting information about the long term use of nicotine and its effects on the body. It is likely not as benign as caffeine as some insinuate, but until more data is available we find this to be the lesser of evils when it comes to the bigger picture of harm reduction. Bottom line, OCF cannot endorse a policy of adding to the cases of other cancers, including very deadly pancreatic cancers, but as a contributor to other serious ailments, even if there s a greater good (harm reduction in tobacco smokers) to be served if it means additional mortality and morbidity sacrifices via new cancer patients of a different type, or other disease states. If we are willing to advocate a different tobacco poison only on the basis that it will help one group, but hurt another to a lesser extent, then there is a moral, not a science question here which needs to be addressed. Studies indicate that the use of conventional snuff and chewing tobacco is associated with an increased risk for oral cancer. Our Patient to Survivor message board has plenty of real life people that can speak to their addictions and their development of oral cancers, for those who doubt. It is particularly alarming that an increasing number if young people are using such products. 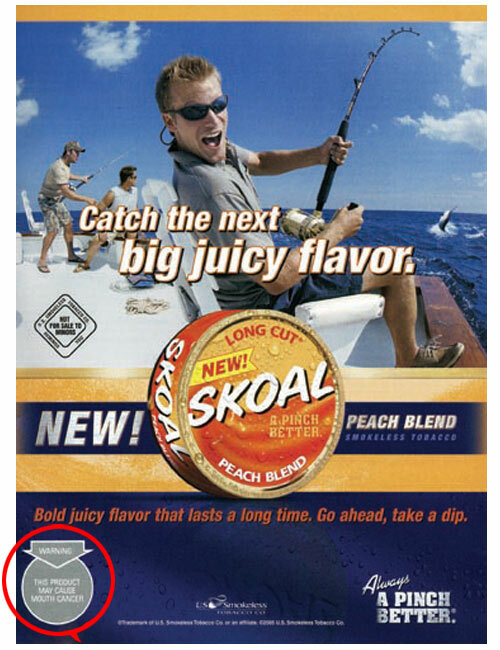 The marketing strategies of the tobacco companies to sell these products with fruity flavors that are particularly attractant to our youth is particularly deplorable. Smokeless tobacco users increase their risks of cancers of the oral cavity, pharynx (throat), larynx, and esophagus. Oral cancer can include cancer of the lip, tongue, cheeks, gums, and the floor and roof of the mouth, as well as the tonsils and oropharynx (back of the throat) and it kills readily via metastasis out of the oral environment to vital organs of the body. 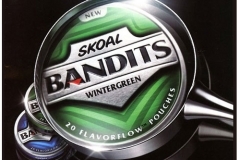 People who use snuff have a much greater risk for cancer of the cheek and gum than people who do not use tobacco. While some advocates for smokeless state that the tobacco companies are not aggressively marketing their products to our youth, they mistakenly think that the viral spread of tobacco marketing on the web, is going unnoticed. This effort is in many respects under the radar to adults who spend less time in the social networking world of the web, and are less conversant in how this cyber world functions. It is s medium without regulation, and ideas spread rapidly, whether on personal blog sites or front sites for tobacco advocates. 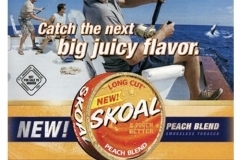 Some of the other effects of smokeless tobacco include addiction to nicotine, oral leukoplakia (white mouth lesions that can become cancerous), gum disease (periodontal disease), gum recession (when the gum pulls away, or recedes from the teeth), loss of bone in the jaw, tooth decay (a result of sugar additives to enhance the flavor of smokeless tobacco), tooth loss, tooth abrasion (worn spots on the teeth), yellowing of the teeth, chronic bad breath, unhealthy eating habits (smokeless tobacco lessens a person’s sense of taste and ability to smell, so users tend to eat saltier and sweeter foods which are both harmful in excess), high blood pressure (spit tobacco contains high concentrations of salt), and increased risk for cardiovascular (heart) disease and heart attacks. 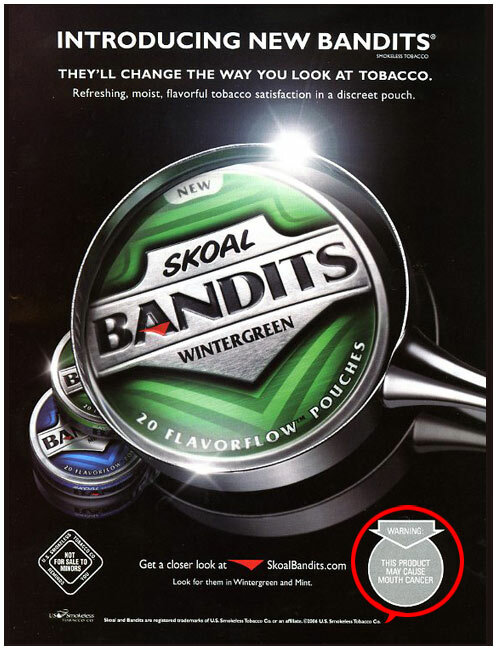 Remember that this is a a product which has been historically UNREGULATED and no one in the tobacco industry has to release any information about what it contains, what they know about its effects, or harms that it may cause. This is an industry that has a history of lying to the American public about their products that goes back for decades. OCF feels that any data supported by tobacco dollars, even if through university grants, is suspect and should be confirmed by independent sources. In the long run we believe that tobacco products should be regulated as any other addiction producing product in our marketplace. Also note that the tobacco industry stays away from making claims about the safety of spit tobacco products, relying instead on paying or providing lucrative grants to 3rd party investigators, medical professionals, and others to publish materials supporting their desired strategic claims. In our opinion these individuals are nothing more than shills for the industry. This situation exists because the smokeless tobacco makers face a difficult balance in marketing the products. If they tout them as being safer, they face scrutiny from the Federal Trade Commission and state attorneys general, and would have to prove their claims based on clinical trials they now are not required to conduct. These trials would last many years and the likely outcome from them would be disastrous to the tobacco industry as independent documentation of harm would be there for all to see. Not able to talk about harm reduction themselves, to implement their “marketing strategies,” it makes sense to pay these professionals, who have documented financial benefit in their medical positions, to be the facilitators of the tobacco agenda. Follow the money yourself. Then decide if you find these medical authorities credible or not. But there is no question that the companies benefit from these third parties creating the dialog in public. The smokeless manufacturers certainly cannot make it themselves. It is a very smart strategy to pay for chairs in harm reduction, and research that finds that everyone changing to smokeless would be of benefit. They know that this scenario is not going to take place in the real world. Smokers will continue to smoke, and use smokeless in environments where smoking is banned. But everyone switching to smokeless tobacco…. no one really believes the smoking population will ever embrace that. Spit tobacco causes oral cancer by the following process: as tissue cells in these areas divide in an attempt to form a barrier against the tobacco, they are exposed to carcinogenic agents and can become cancerous. Pinpointing how long a spit tobacco user can chew or dip before getting oral cancer is difficult to do since it is impossible to predict when and if cells will become cancerous. Consequently, spit tobacco users risk beginning the process to develop oral cancer every time they use. Spit tobacco can also cause other types of cancers. Exposure to tobacco juice which is not intentionally swallowed may induce cancers of the esophagus, larynx, stomach, pancreas and prostate. Clearly the investigation of all the possible mechanisms of harm, particularly in areas remote from the site of use, are not fully explored as of now, and making the ASSUMPTION based on today’s data that spit tobacco is safe, would be foolish. 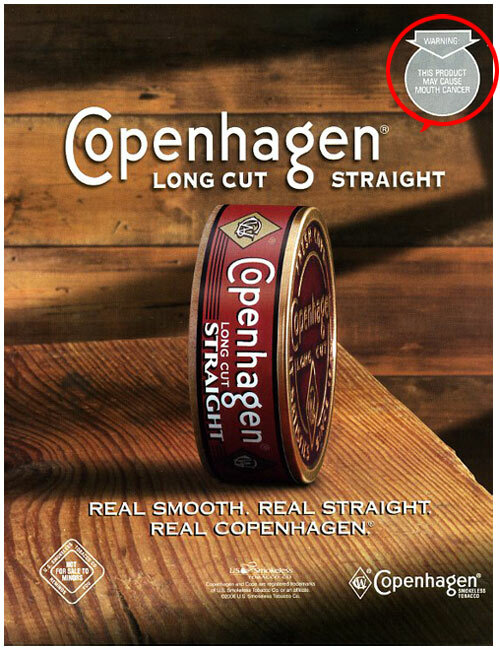 The smokeless tobacco companies are increasingly moving their marketing and advertising dollars to the new “tea bag” type of smokeless commonly known as snus. There are also a variety of dissolvable tobacco products on the market that resemble breath strips, and others that appear like candy Tic Tac’s. Of these last two, we know very little about their health consequences as you are ingesting the tobacco product completely. Long-term studies on their safety do not exist, but because of the lack of regulation they are already being sold in the marketplace. These are very different products than conventional loose leaf spit tobaccos that we have been discussing. OCF is still against snus for a variety of reasons and the jury is out on the safety of the actual US manufactured products, which appear to not be exactly the same as those from overseas. We believe that there is evidence that it is safer than old style spit tobacco, but it is not harmless, though likely much less of a risk in our area of concern, oral cancer, than the previous incarnations of smokeless. In December of 2009, we will put up a page dedicated to the new generation of smokeless, the marketing rhetoric, the paid medical shills for the products, and more. At this time there is evidence that it is less harmful than combustion based tobacco use. BUT THERE IS NOT CONCLUSIVE EVIDENCE THAT IT IS HARM FREE. And we are unconvinced that it is designed as a harm reduction product by the manufacturing companies given the viral marketing of it to our youth on the web. These customers that are rapidly becoming an addicted, profit center for the smokeless tobacco companies, are not inveterate, “I can’t quit” cigarette smokers as they would have us believe the market is for the product. We are more convinced that it is a product that will coexist with cigarettes in smokers who continue to smoke where they can, and will use these new smokeless products in workplaces, theaters, etc. where smoking is prohibited. One will not replace the other. It is market expansion, not product replacement. Arguments made by academics on the payroll or supported in other ways by the manufacturers that would have us believe that this is a serious harm reduction strategy are only playing a very well thought out marketing game in our opinion. [incidence of] myocardial infarction, it did show a 30 per cent increased risk of fatal heart attack compared with people who have never used the product. Amongst those who suffer non-fatal heart attacks, users of snus have a higher fatality rate in general than non-users, and from cardiovascular diseases in particular. Users also ran a higher risk of developing high blood pressure, which is a known factor of cardiovascular disease and they were also more likely to suffer a fatal stroke. Two major population studies were used for the research. The first comprised Swedish men between the ages of 45 and 70, living in the counties of Stockholm or Västernorrland between 1992 and 1994. A total of 1,432 men diagnosed with first-episode myocardial infarction were compared in terms of tobacco habits and other factors with a control group of men from the same regions without heart problems. The second was a study using data from health checks of all workers in the building industry between the years of 1978 and 1993. Information recorded at these checks included tobacco habits and blood pressure. Episodes of non-fatal and fatal myocardial infarction, strokes and blood pressure readings for over 100,000 snus users and non-users were followed until 2003/4. Update – April 2010. Initial surveys published by individual states and other sources indicate that smokeless tobacco is the growth portion of the tobacco marketplace. Given the amount of money and effort that has gone into viral internet marketing of these products to our youth this comes as little surprise. In 2010, smoking remains at pre snus introduction levels in the US. It would seem clear that this is not gong to replace smoking, but co-exist along side of smoking in those that use tobacco.